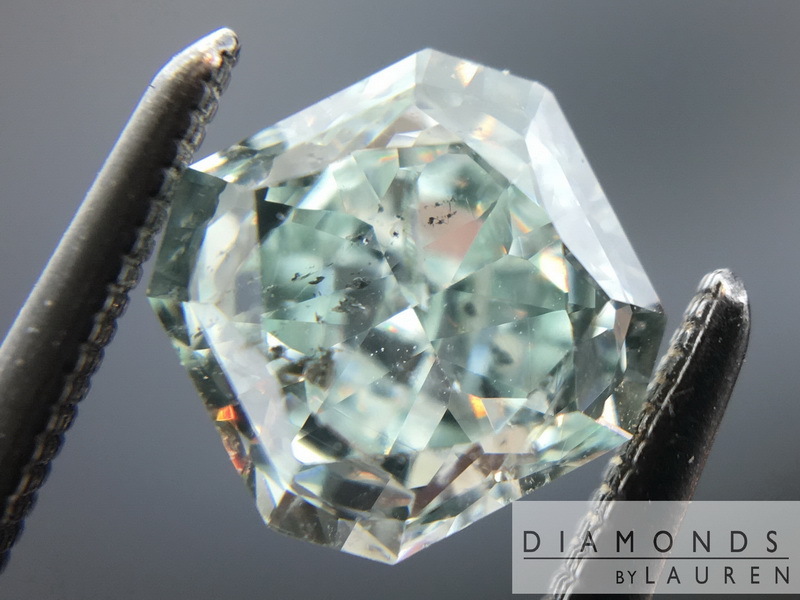 Here is a very cool, Fancy Bluish Green Diamond. 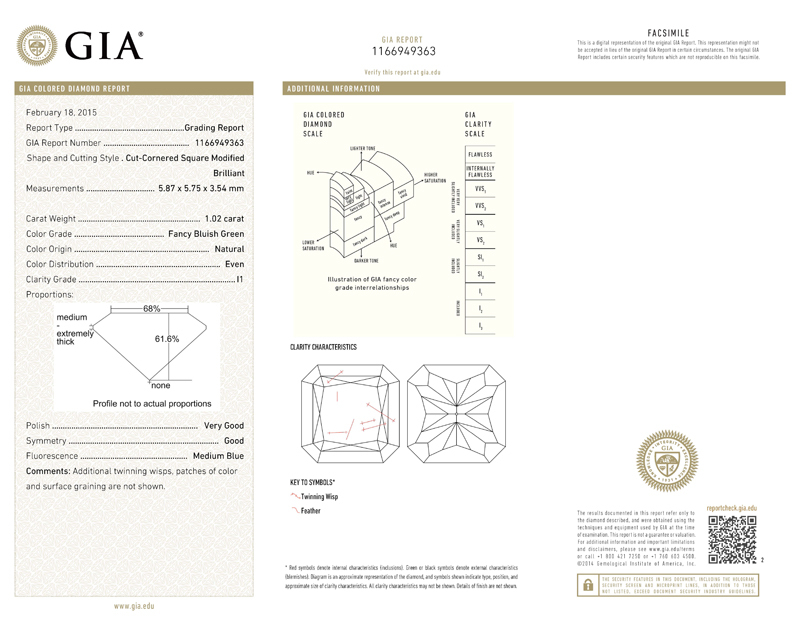 Kind of odd that the GIA color is green, yet when you look at the diamond, it seems to be blue. 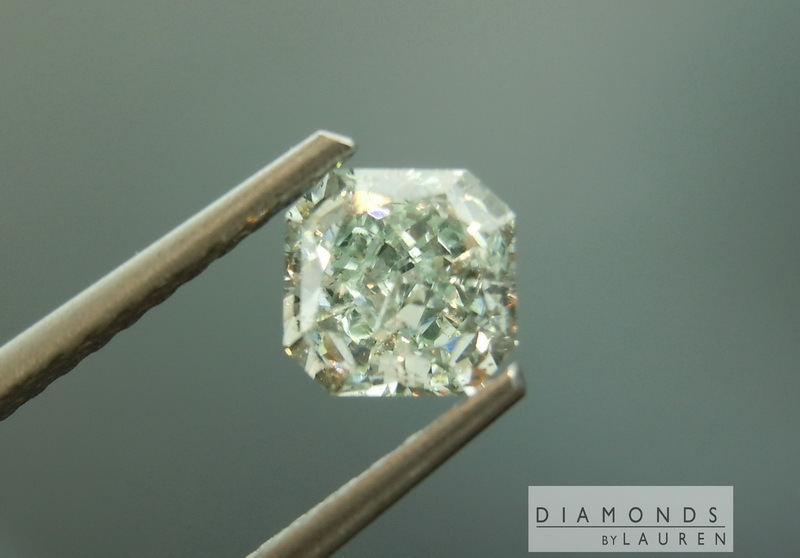 But that's how it goes with diamonds in these color ranges. 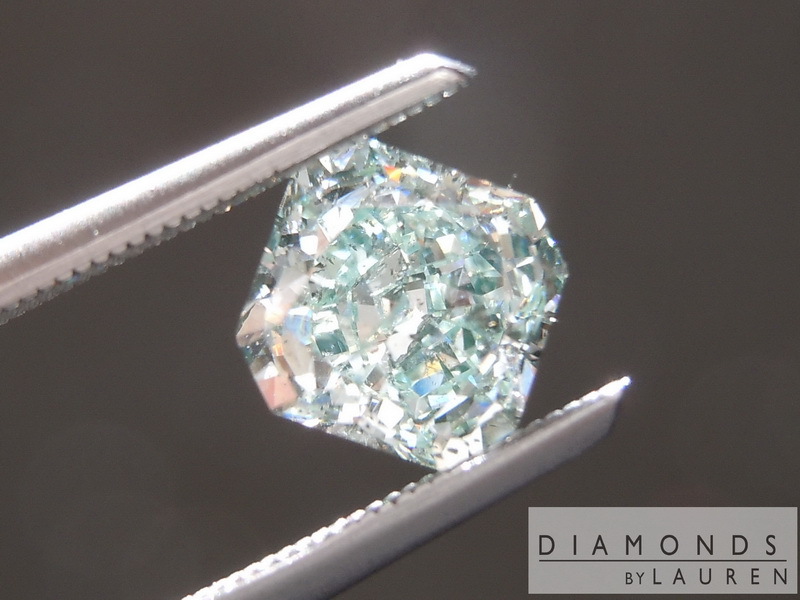 Bear in mind that a Fancy Blue stone with similar clarity could easily be triple the price, and it might not look all that much more blue. The I1 clarity is due to black carbon spots. 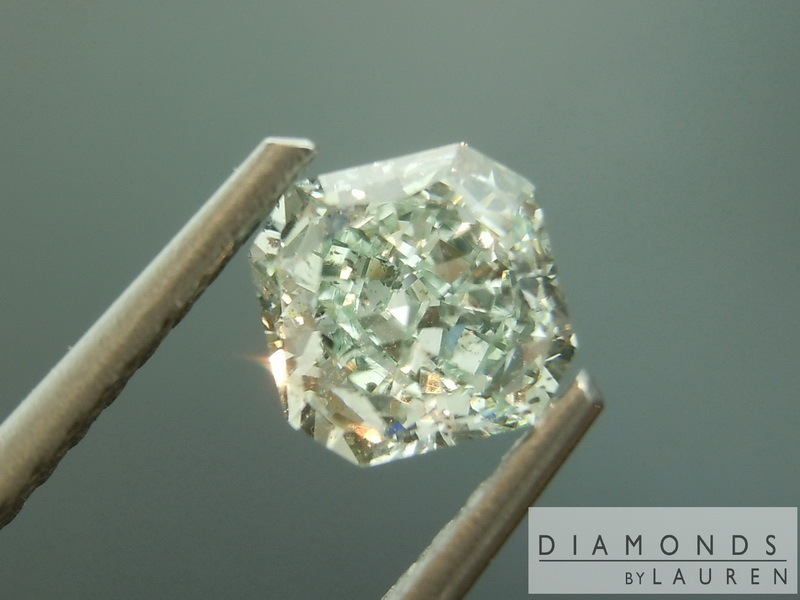 This is common in the Boron rich rough which yields diamonds of this color. You might be able to pick out the carbon but it's hard to do so. 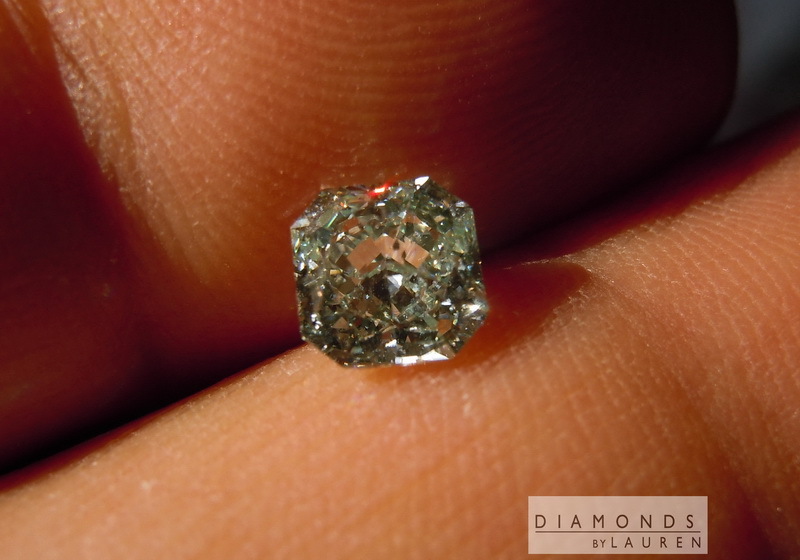 The diamond is beautifully cut - square radiant with generous corners and a small table with generous crown. 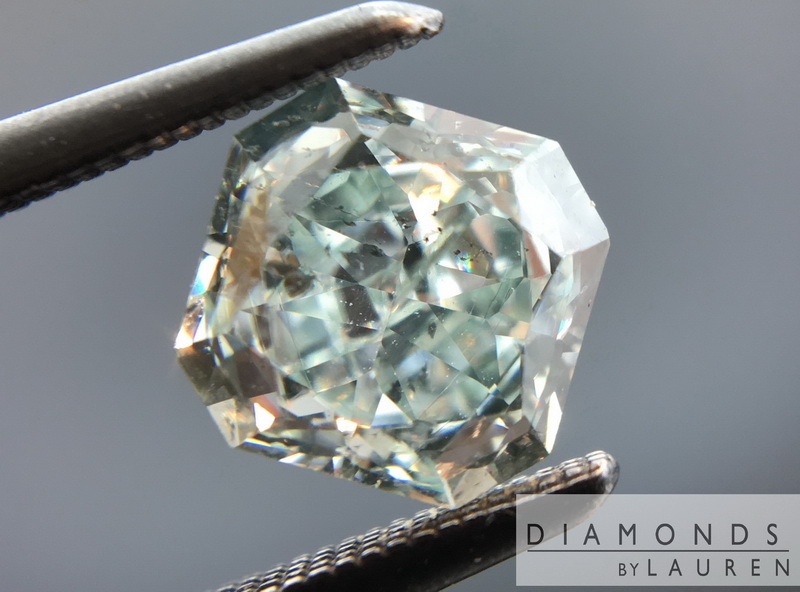 Fantastic sparkle - bold bright flashes. Very nice size for the weight. 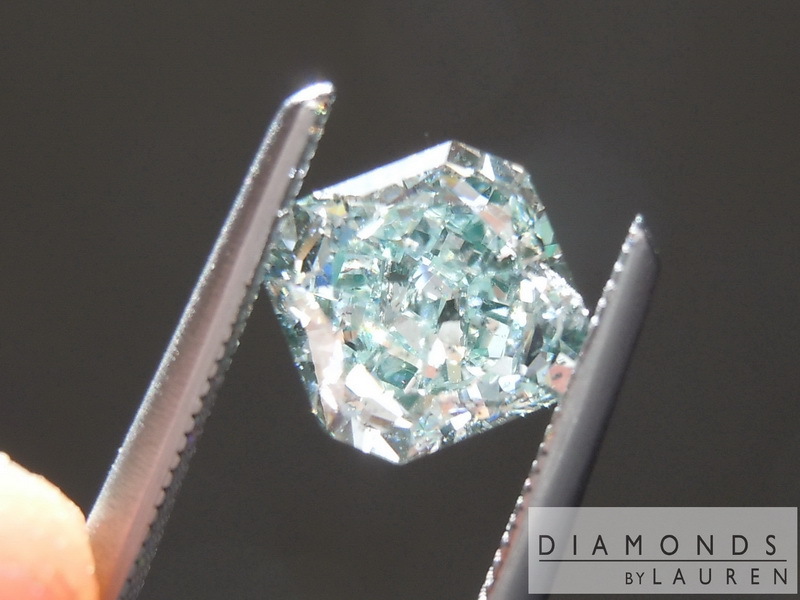 If you're interested in a setting we have the expertise to set this stone in a manner that accentuates the blue.